Two observatory-based laboratory activities are available for students reading Physics and Astrophysics at the University of Birmingham. The aim of these labs is to give students experience of the full lifecycle of an astronomy project from design and planning, through observations, data analysis, interpretation, and writing up. Students develop skills that are of broad relevance to future employment within science and wider afield. 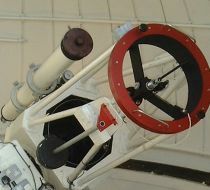 Details of the observatory-based labs are available to current students here. Star Cluster: Measuring the age of a star cluster via multi-color imaging, photometry, and construction of a Hertzsprung-Russel Diagram. Eclipsing Binary Stars: Measuring the lightcurves of eclipsing binary stars to derive the period of the binaries. Transiting Exoplanets: Measuring the dip in brightness of a star as a planet transits in front of it, and thus deriving the properties of the planet. 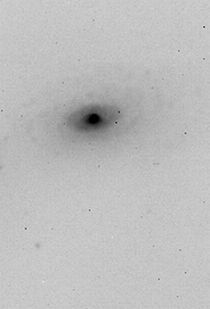 Surface Brightness Profiles of Galaxies: Measuring the light profile of nearby galaxies, and studying the dependence of profile on wavelength and galaxy type. Galaxy Clusters: Measuring the colour-magnitude diagram and light profile of nearby galaxy clusters. Jupiter and Saturn: Measuring the rotational periods of these gas giants from spectroscopic measurements of the Doppler effect. Wolf-Rayet Stars: Measuring the speed and ionisation structure of the stellar wind surrounding these very luminous stars, from medium resolution spectroscopy. Be and Shell Stars: Measuring the rotation speed of these rapidly rotating objects (some as fast as 500km/s) from emission and absorption features in their spectra. P-Cygni Stars: Measuring the wind velocity and mass-loss rate of P-Cygni stars from the characteristic blue-shifted absorption features in the spectra of these stars. Interstellar gas: Measuring the chemical content, ionisation states, and electron densities of interstellar gas via spectroscopic observations of planetary nebulae, HII regions and supernova remnants.